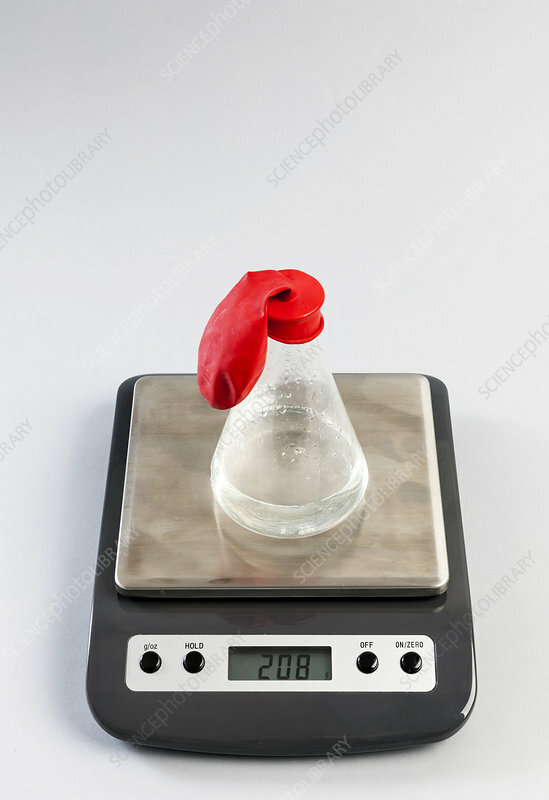 Effervescent tablet placed in a balloon, which is then attached to an Erlenmeyer flask that contains 180 mL of water, set on a scale. After the balloon is turned upright (image 2), the tablet drops into the water. The reaction produces carbon dioxide gas and the balloon is inflated. Weight remains constant. See image SS21318332.